Here’s an interesting way to use those Chocolate Chex you didn’t know you needed. 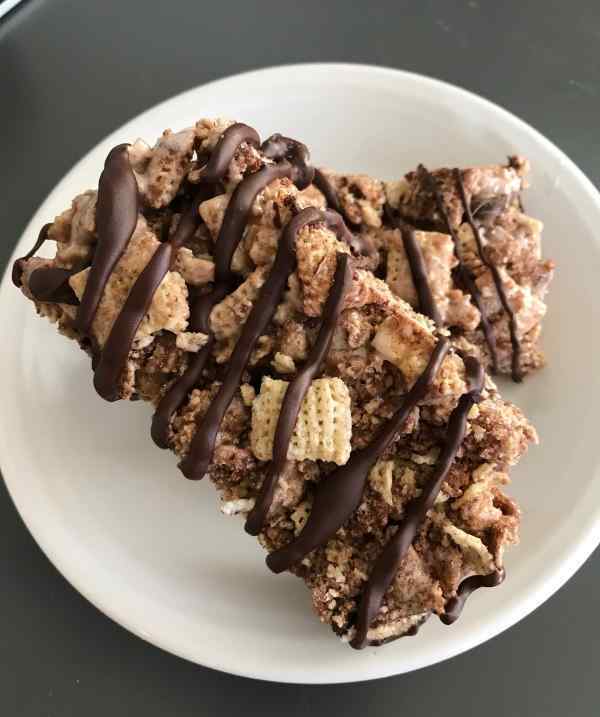 The “Chili Chocolate Bars” from the Chex recipe collection are perfect for when you need a crowd-pleasing treat, but don’t have a lot of time to bake. I actually did have a lot of time to bake, but wanted to use up some Chex and thought the chili bars sounded good. They are! The cayenne and cinnamon add a little heat at the end without overpowering the other flavors or getting in the way. My only complain is, like their recipe cousin Chex Mix, they are hard to stop eating. 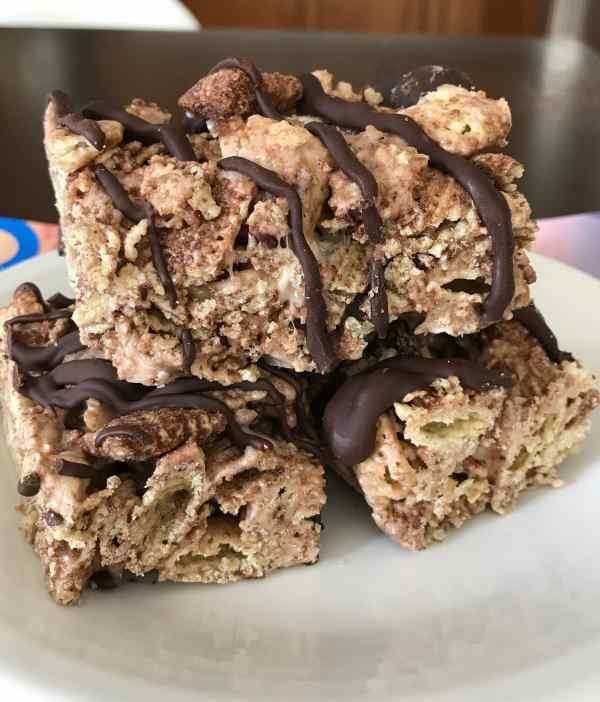 No-bake bar cookies made with Chocolate Chex, marshmallows and spices. Line a 13x9 inch pan with foil and grease or spray the foil with cooking spray. In large microwavable bowl, microwave butter on high until it melts (about 40 seconds). Add marshmallows; toss to coat, then heat for 1 to 1 1/2 minutes, stirring every 30 seconds until marshmallows are completely melted and mixture is well blended. Add cereal, red pepper and cinnamon; mix well. Transfer to the pan and spread evenly. In small microwavable bowl, microwave chocolate chips on high, stirring every 30 seconds until melted. Transfer to a zipper bag, cut small corner off bag, and pipe chocolate on top of bars. Chill for 5 to 10 minutes to set chocolate. Lift bars from pan and cut into squares.